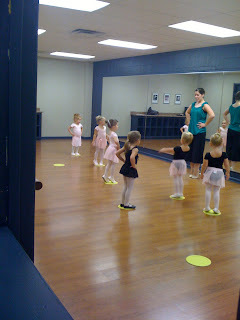 This past fall we put Mia in a Worship Dance class at my parents' church. 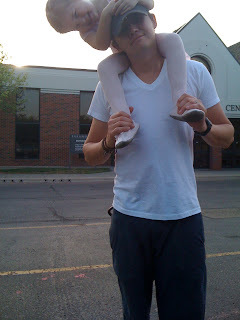 The girl teaching the class grew up with my brother, so I knew she was a phenomenal ballerina and loved the Lord. 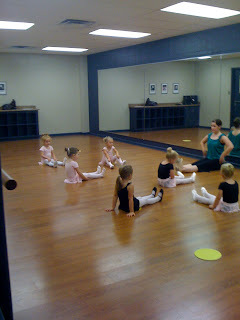 She taught the girls the fundamentals to ballet, but would also incorporate worship music and free dancing to the Lord. So great! 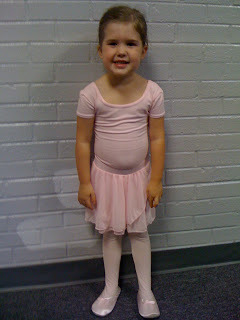 Mia loved dance, but I think there was too much "taking turns" time, and not enough activity for her because by the end of the semester she was asking to do gymnastics again. I would highly recommend this class to anyone, so let me know if you're interested and I'll get you the info. 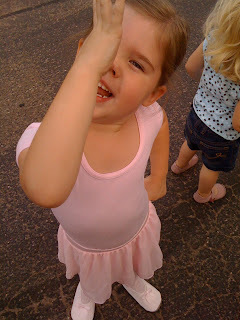 So, here are some shots of our little ballerina. 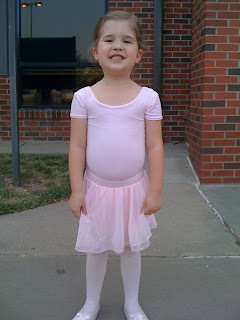 I just can't get enough of her in her ballerina outfit! 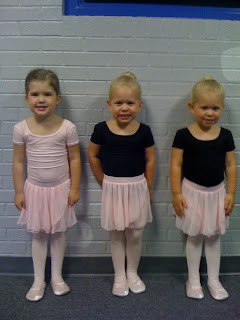 She got to take the class with her cousins Bailey and Addison. What beauties! Doesn't she look thrilled? 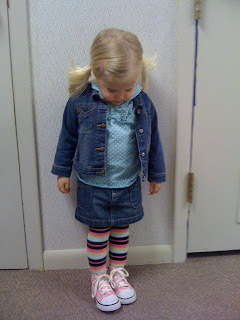 She'd rather be dancing with her sister! He's in LOVE with his ballerina! So fun. We have loved Miss Brittanie! Mia and Eisley, both, are stunning. Wow! They're both just beautiful young ladies, Sarah! Love it! My amazing husband and I have been married for over 7 years now. 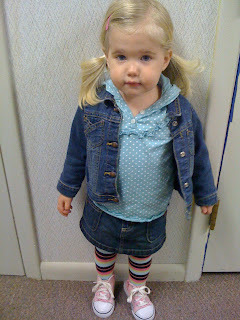 We have two beautiful daughters, Mia Jaymes who is 5 and Eisley Mae (pronounced "Eyes-lee") who is 3 years old. I am beyond blessed with an amazing family and a Savior that gives me grace each day. What love He lavishes on us.